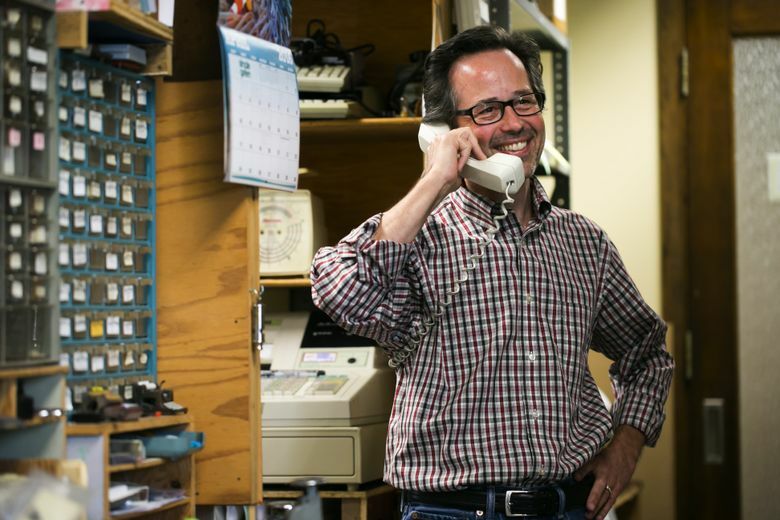 A new owner has turned up to save the area’s last typewriter repair shop and keep alive a 94-year-old Bremerton man’s small-business legacy. 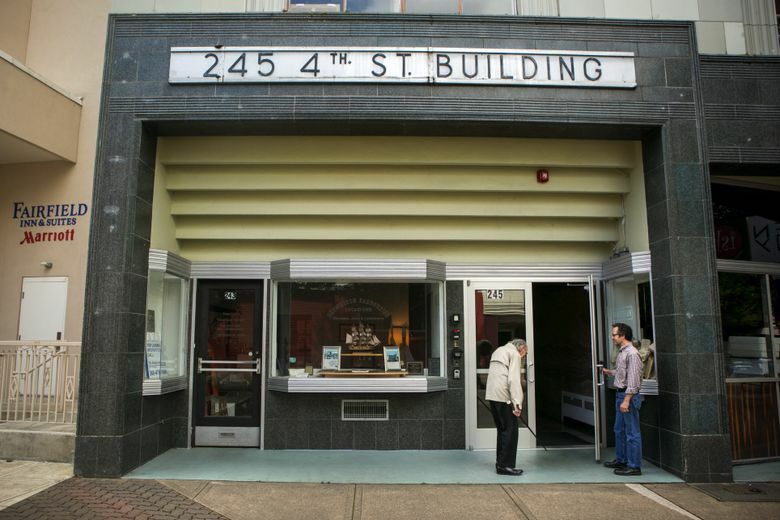 BREMERTON — Sometimes, things just line up right and a historic institution gets saved. 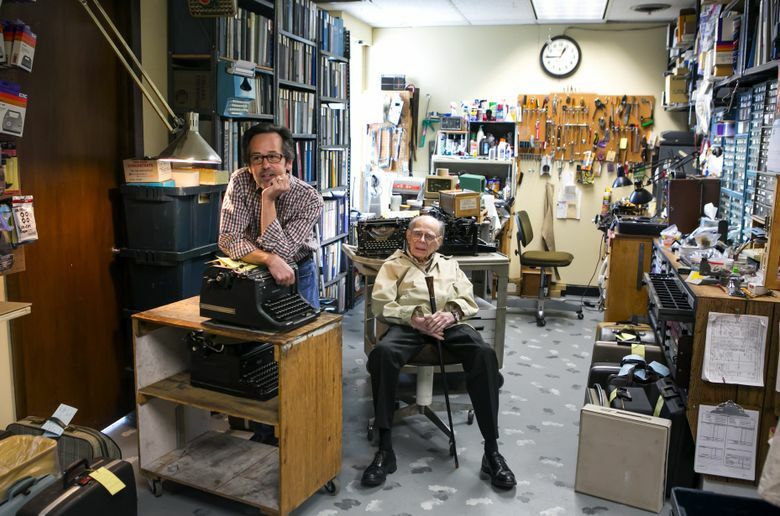 You might remember a story two years ago about Bob Montgomery, the area’s last full-time typewriter repairman. Not to worry, Montgomery’s health is fine. Yes, he uses a cane and walks slowly, likes to take an afternoon nap and is so skinny he can appear frail. The man is 94! But in the digital age, the health of the Bremerton Office Machine Co. was not so good. 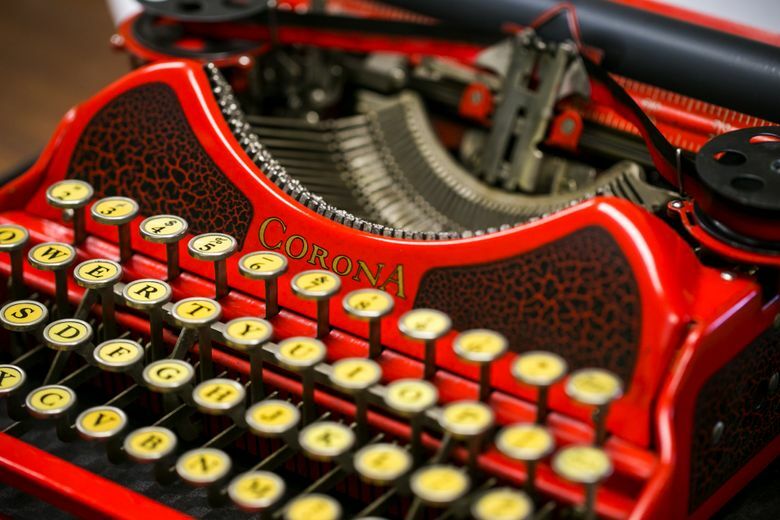 Typewriters have mostly been relegated to antique shops, attics and collectors. By the end of 2014, Montgomery was 11 months behind on his rent, and various unopened bills had piled up on a desk. Friends apparently were considering shutting down the place and getting rid of what they could; just trying to help. Meet Paul Lundy, 56, the new owner. He could not let Montgomery’s shop befall such an ignominious end. Lundy says he prefers the financial details remain private. He hopes to be in the black in 2016. But he knows it’s never going to be a moneymaker; “maybe $30,000 gross a year.” Lundy says he lives thriftily. He has saved Montgomery’s desk at the shop, so any time he wants to come by, chat, do a little repairing, meet some of his fans, it’s there. Here in Bremerton, besides his repair shop, Montgomery has been a mainstay in local theater, having acted or been involved in the production of 145 plays. Two years ago, the city even had a Robert “Bob” Montgomery Day in his honor. But the machines were first. 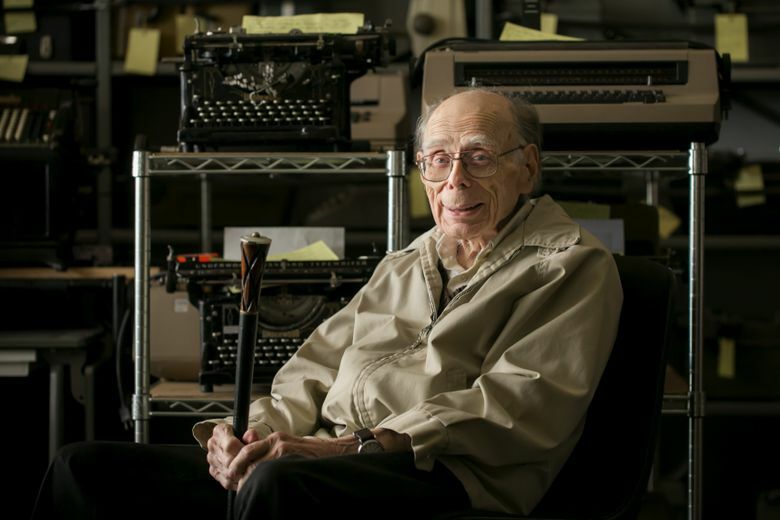 Typewriters had been his life since age 7 or 8 when he began going to his dad’s shop in downtown Seattle and changed ribbons and cleaned machines. 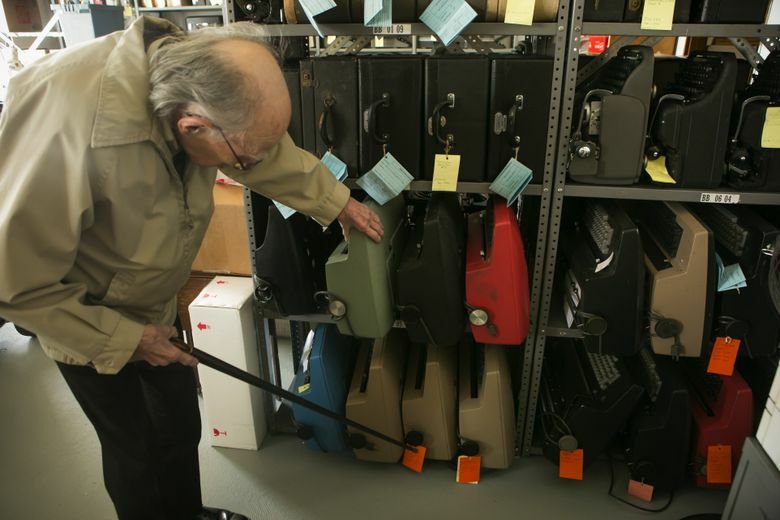 That’s 85-plus years of typewriters. “Typewriters, typewriters, typewriters,” says Montgomery. Lundy was not a collector of typewriters; his main contact with them was in taking typing lessons at Ingraham High, Class of ’78. But he read the story two years ago and there was something about Montgomery’s passion that intrigued him. Then, Lundy had been going on 15 years as a director of facilities at a local biotech company. “I was looking for a change,” he remembers. And, after all, in his job in facilities he had to do plenty of repairing. 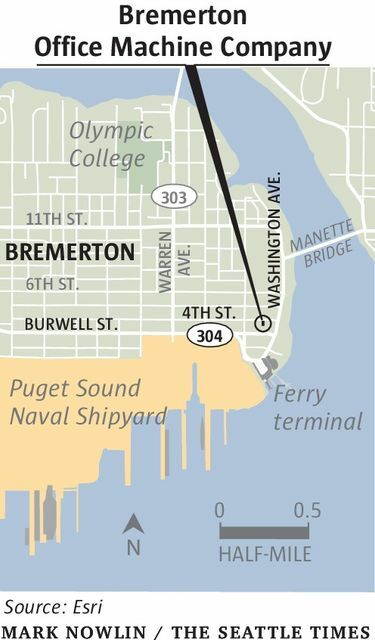 A week after the story, Lundy drove to Bremerton from his home in Kingston and showed up at Montgomery’s shop. 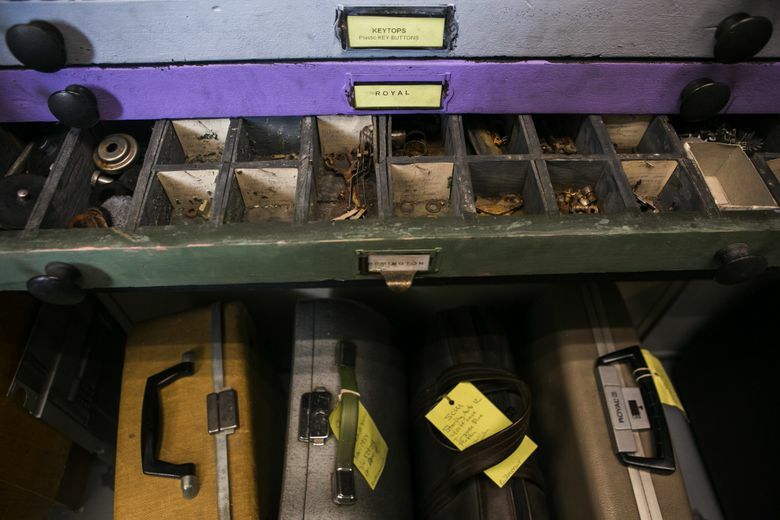 He entered a world crowded with thousands of parts stored in little drawers and dozens of manuals crowding shelves. Here, you didn’t run a computer program to fix a malfunction; you used magnifying glasses and tweezers. And machines everywhere, from somebody’s 1941 Remington Model 5 that had been in the family, to an IBM Selectric that the owner thought was the best machine ever. Lundy is married to Lisa Knox, a research scientist who decided not to move to the East Coast when her company did and now stays at home. They have no children, although there are three cats and a bunch of egg-laying chickens in the family. 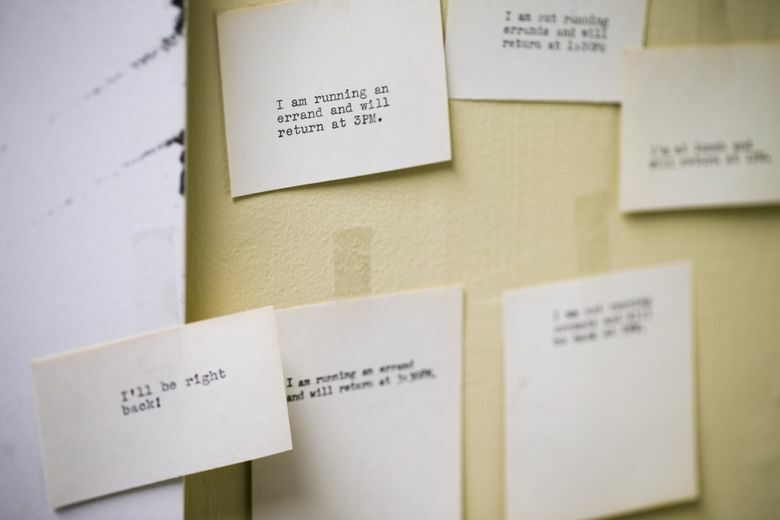 Lundy worked his full time and on Saturday would drive to Bremerton to absorb the typewriter world. Right away, Montgomery noticed that Lundy had remembered his high-school typing lessons and didn’t hunt-and-peck. That was a big plus. For years, Montgomery had hoped someone would take over the business. Maybe this was it. Lundy began reading the typewriter manuals. He listened to Montgomery’s stories. Oh, the stories, like how Montgomery spent World War II. 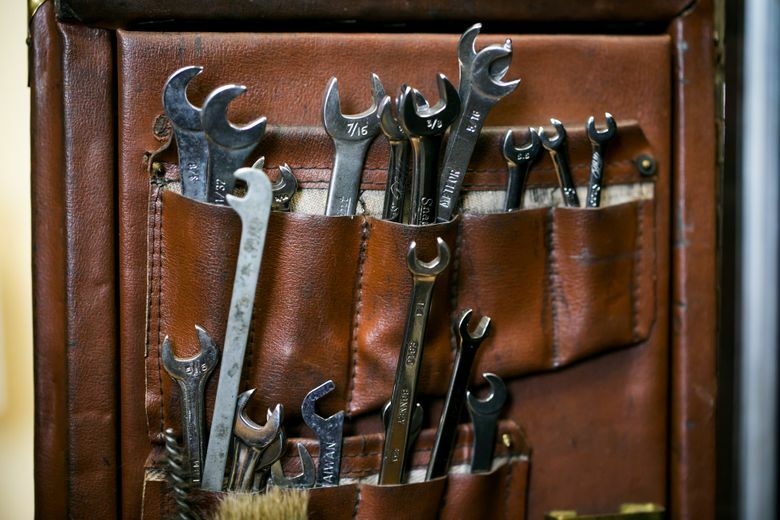 He had been drafted into the infantry, but when the Army found out his typewriter skills, he ended up repairing the machines in Bushy Park in London. That was right where Gen. Dwight D. Eisenhower was stationed as Supreme Commander Allied Expeditionary Force. 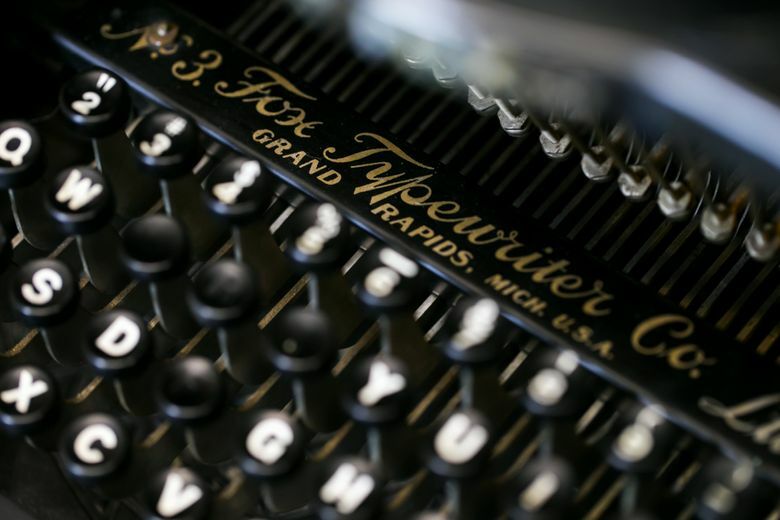 Typewriters — 600,000 of them — were deemed necessary communication devices during the war. 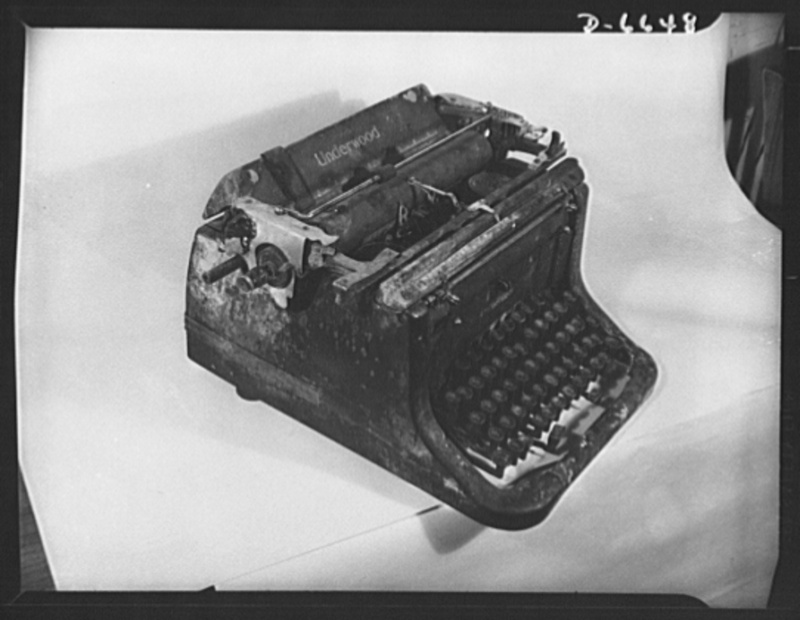 “I think every latrine orderly had a typewriter,” remembers Montgomery. In the Library of Congress there are photos of Hollywood stars such as Susan Hayward donating her typewriter, of soldiers lined up for typing lessons, of a “battle-scarred” machine that had been through a Japanese bombing at sea. After the war, it was back to the repair shop for Montgomery. Eventually, Lundy also started showing up Tuesday and Thursday evenings, after Montgomery had left, to work on typewriters. 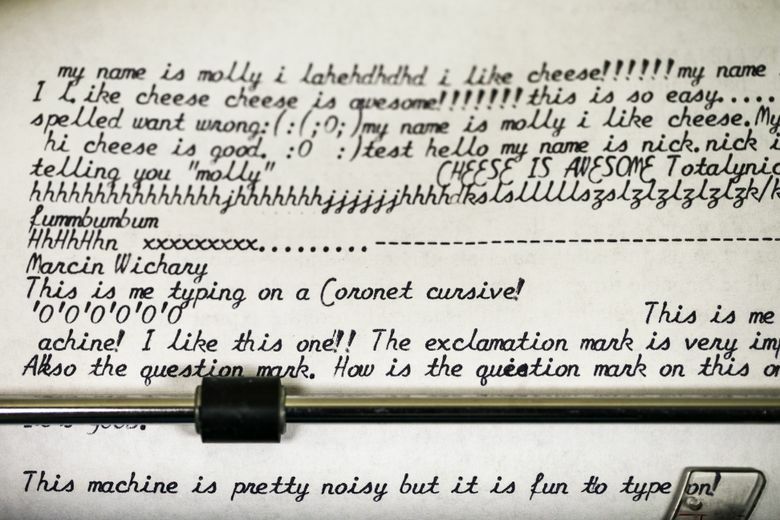 The world of typewriters now was capturing Lundy. There were 13 million manufactured. “I had a customer in the other day wanting to experience a Selectric, and you should have seen her joyous expression as her fingers flew across over the key tops typing as fast as she could,” he says. And Lundy kept meeting the typewriter people, an unusual, friendly group. For example, there is a Seattle woman named Afrose Ahmed who had come in with her 1925 Royal. The shop charges $49 an hour, and most repairs are about three hours. If Lundy can’t fix a machine, he doesn’t charge. Some machines are simply too gone to be worth fixing. That was the case with Ahmed’s machine. 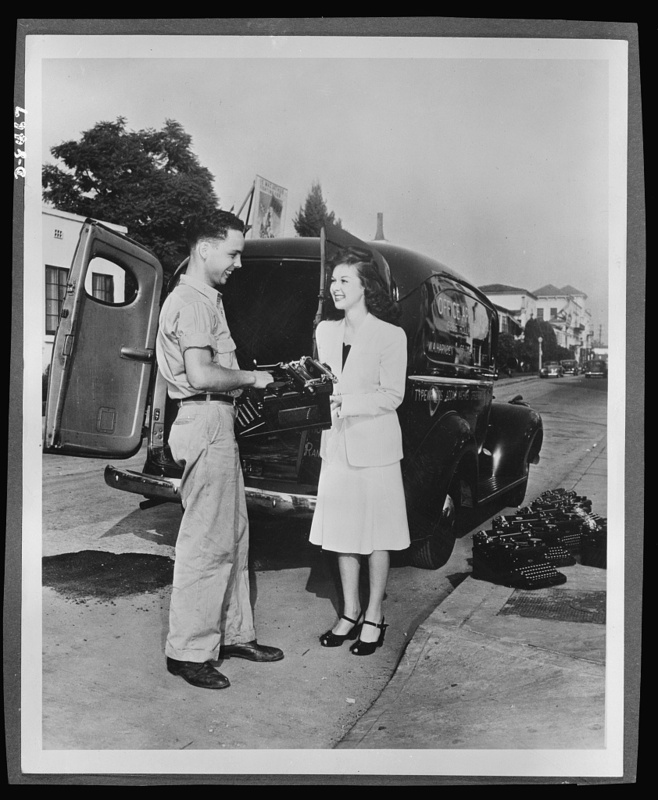 He gave her a loaner typewriter, a 1941 Remington, to try it out. She’s decided to buy it for $325. An old local attorney friend of Montgomery helped out in selling the shop to Lundy, who took on all its debts. It’s an arrangement that satisfies Montgomery. He still comes around, taking a bus from the nearby retirement community in which he lives. Lundy says it’s not about the money for him.